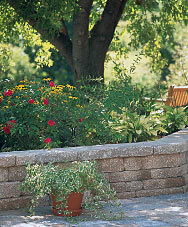 Concrete and masonry are essentially how we started in business. A lifelong family business, my brothers and I learned the business literally from the ground up from both our Grandfather and father, masters of the trade, who had experience working on the Empire State and Chrysler Buildings, the greatest generation where perfection was not an accident but what was expected. Those values are brought to bear on every job we tackle. Our masonry & concrete work blends old world craftsmanship with modern design cues for spectacular results. Our masonry work is perfection. We will not leave a job until it meets both our customers but primarily our standards.